The core of the Institute’s mission is providing high-level data collection, social science research, and legal analysis that complements LDF’s litigation and policy advocacy. The Institute’s Fellows Program engages scholars and experts to produce cutting-edge research on civil rights issues, including education, economic justice, criminal justice reform, and political participation. Institute Fellows provide consulting services, subject matter expertise, ad hoc research, and drafting support on various projects within the Institute or within LDF’s litigation or policy departments. Fellows also provide in-depth research reports, studies, or statistical analysis for the Institute or for LDF. Additionally, Fellows serve as thought partners with Institute staff and LDF senior management in designing an innovative research agenda that advances Institute’s work to address civil rights issues. 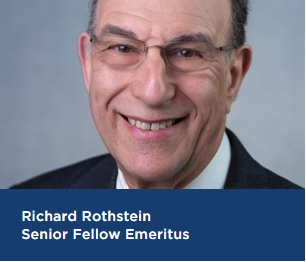 In 2016, the Institute selected Richard Rothstein and Dr. Phillip Atiba Goff as Senior Fellows. Mr. Rothstein, who has served as a research associate at the Economic Policy Institute and a Senior Fellow at the Haas Institute at the University of California, Berkeley, has conducted research on the history and effects of housing segregation and disparate transportation access, among other issues. In 2017, Mr. Rothstein published Color of Law: A Forgotten History of How Our Government Segregated America, detailing how residential racial segregation in the United States was created and reinforced by federal, state, and local policies. 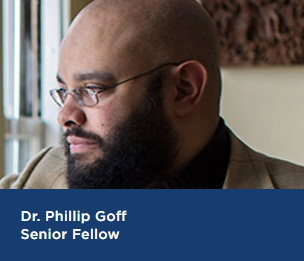 Dr. Goff, who is the Franklin A. Thomas Professor in Policing Equity at John Jay College and the co-founder and president of the Center for Policing Equity, has focused his research on the psychology of bias in the criminal justice system. His research explores how racial inequalities in housing, employment, education and healthcare contribute to systemic injustice in policing practices. It also examines ways in which environmental factors can produce racially disparate outcomes. 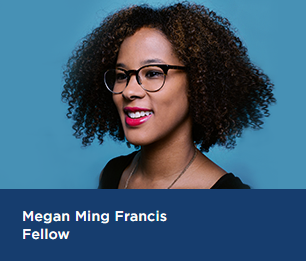 In 2018, Professor Megan Ming Francis was named as the third Institute Fellow. Professor Francis, who is an associate professor of political science at the University of Washington, is conducting research regarding present-day voting rights challenges in the context of the history of southern politics, as well as the development of the southern criminal justice system after the Civil War. She is also working on a new book about that post-war era, examining the role of the criminal justice system in the rebuilding of southern political and economic power.